This has become a very popular annual event for the members, one of our main fund raisers for the Mona Vale Hospital Auxiliary, and once again we will be in the lovely surroundings of the Avalon Recreation Centre. 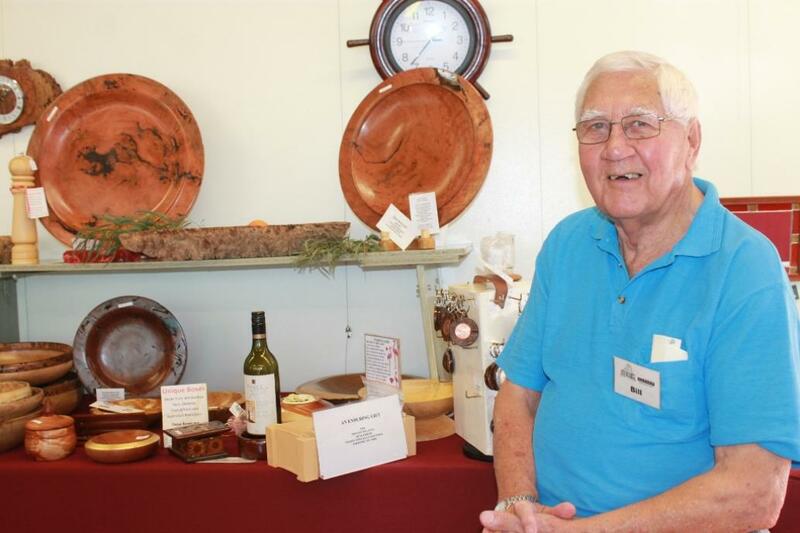 The show was open Thursday through Saturday of July 10th to 12th, and with so much space all the members have room to spread out and put out a great display of their craftwork. Beautiful silk wall hangings, fine pottery, colourful patchwork quilts, gorgeous baby wear, heaps of warm hand knitted woollens, jewellery, hand crafted cards and woodwoks were available. One of the main focues of the Avalon Show is to raise funds for the hospital. There is always a raffle with a great prize of a basket full of handcrafted gift items and refreshments are served all day for just a gold coin donation to the hospital. 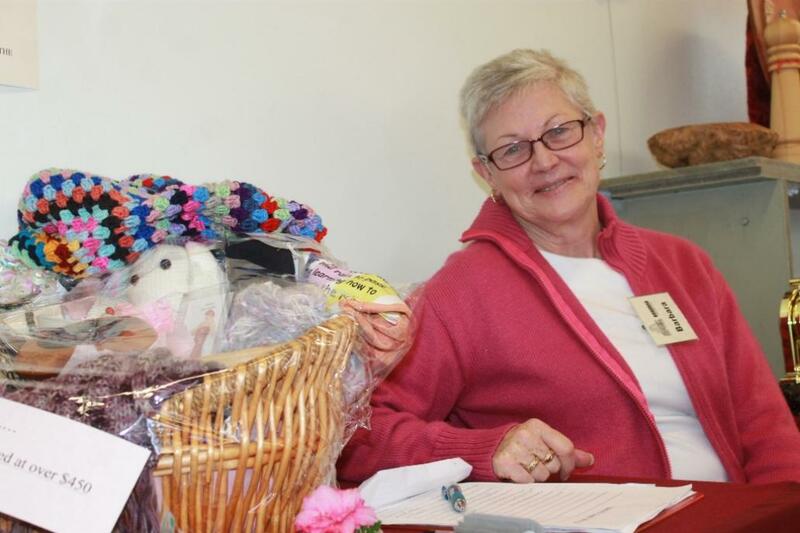 Mrs Dawn King, of Avalon, is the very happy winner of the huge basket of craft items raffled at the Avalon Craft Cottage 'Back to Avalon' show this year. 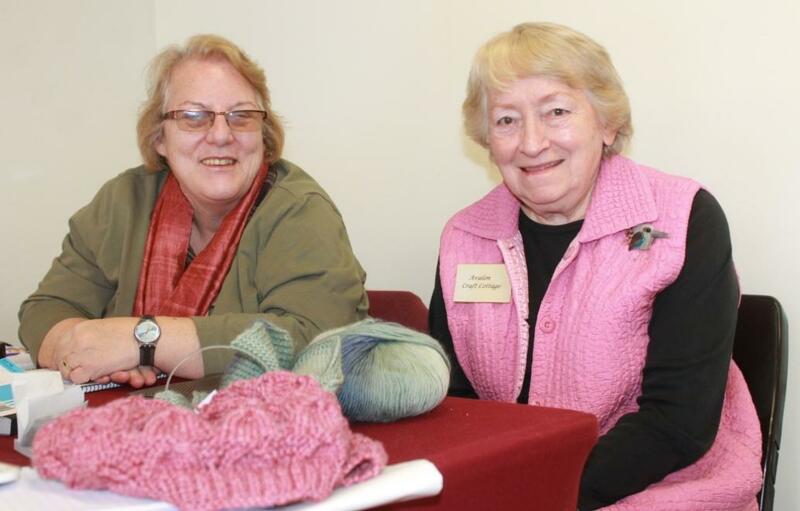 All in all, members had donated nearly $500 worth of craftwork to the raffle, and all money raised from the raffle and from the refreshments stall will go directly to the Mona Vale Hospital Auxiliary. A surprise visitor to the show on Saturday was Mrs. Eileen Gordon, past President of the Auxiliary and now a very proud Life Member, who called in to say Hello, do a bit of shopping and of course buy a few raffle tickets. Eileen Gordon chatting with our woodworker Bill Allen. The Craft Cottage members would like to thank everyone for their support of the show. the 'Back to Avalon' Show is always a special one for the members; a wonderful opportunity for members to catch up with 'old' customers and hopefully recruit a few new ones. Members will now take a well-deserved rest, recharge the batteries and then start preparing for the next big venue, at Warriewood, in October (Monday 20th to Sunday 26th). In the meantime, keep track of the members' activities by following the A.C.C. Facebook page and please give the page a tick of approval. We will be back to Avalon from Thursday 4th to Saturday 6th of December 2014 – just in me to get something beautiful and unique for Christmas. A founding member of ACC, Mrs Jenny Fraser is seen with our President, Robin Thomson, drawing the lucky ticket in the raffle. Ladies 'manning' the sales table. Barbara selling raffle tickets for a wonderful basket of goodies. Bill and his beautiful woodworks. Report by Maureen Darcy-Smith - Pictures by Maureen and A J Guesdon, 2014.